Legacy 2030 | Winston-Salem/Forsyth County Planning Board: Learn What's In Legacy 2030! 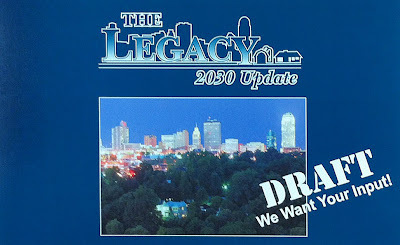 Learn What's In Legacy 2030! Check out each chapter draft on the right and see some of the highlights at our next meeting! May 3: Old Salem Visitor Center, 5:30 to 7:30 p.m.
Or, come to one of six convenient drop-in sessions. Stop by any time between 5:30 and 7:30 p.m.